NHS 2019 is now online! While our natural habitat is being degraded by our inability to develop sustainable lifestyles on a planetary scale, arts create immersive environments, opening up new modes of inhabitation. Videogames, literature, cinema, theater, and visual arts design territories, inviting us to explore and to wander, to roam and to contemplate; unproductive activities that disrupt the cycles of neoliberalism and counter the cognitive styles it promotes. 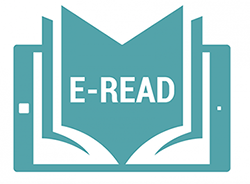 These embodied activities are made possible by the reader/player/spectator’s capacity to immerse herself in texts, by her ability to enter altered states of consciousness. These states of consciousness allow us to dwell in secondary worlds, in which we can spend a significant part of our time and physiological resources, a significant part of our life. What can neuroscience, ecology and the humanities teach us about these states of consciousness, these modes of attention that modulate our encounter with artistic creations and their designed universes? And how do artists build these universes? How do they become a habitat for the “symbolic species” (to use Terrence Deacon’s words)? Can our daily frequentation of these territories change the way we relate to our geophysical, planetary environment? It is around an intervention by neuroscientist Semir Zeki (University College of London) that we will engage with these questions. 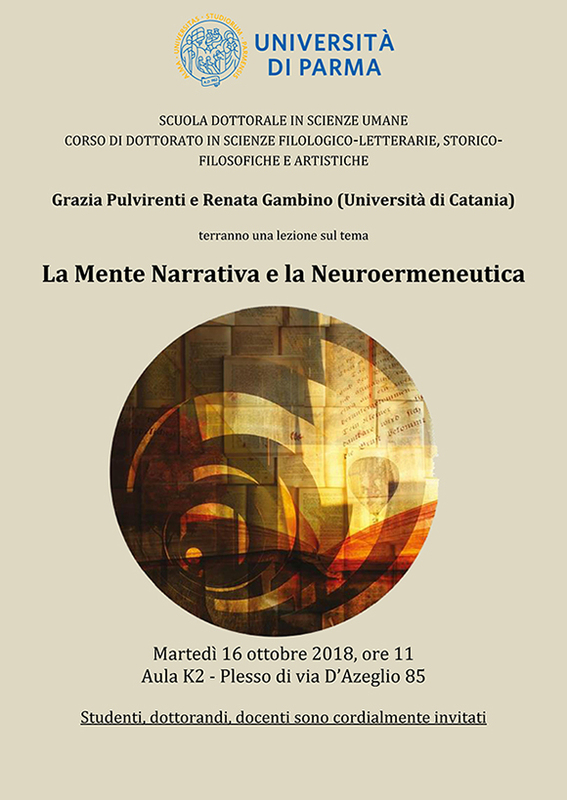 This conference is part of the Annual Neurohumanities Meetings held at Sorbonne Nouvelle since 2013, and is organized by the [Science/Literature] research group, EA 4398 PRISMES: https://litorg.hypotheses.org. 250 words abstracts accompanied by a biographical note are to be sent before April 20, 2018, to pierre-louis.patoine@sorbonne-nouvelle.fr. 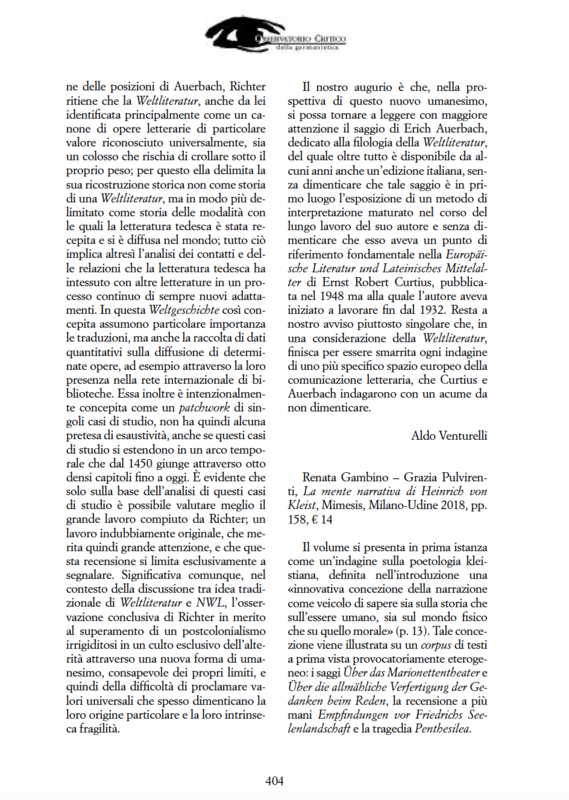 What is the meeting point between Science and Humanities? How can common conceptual and lexical frameworks improve transdisciplinary research? 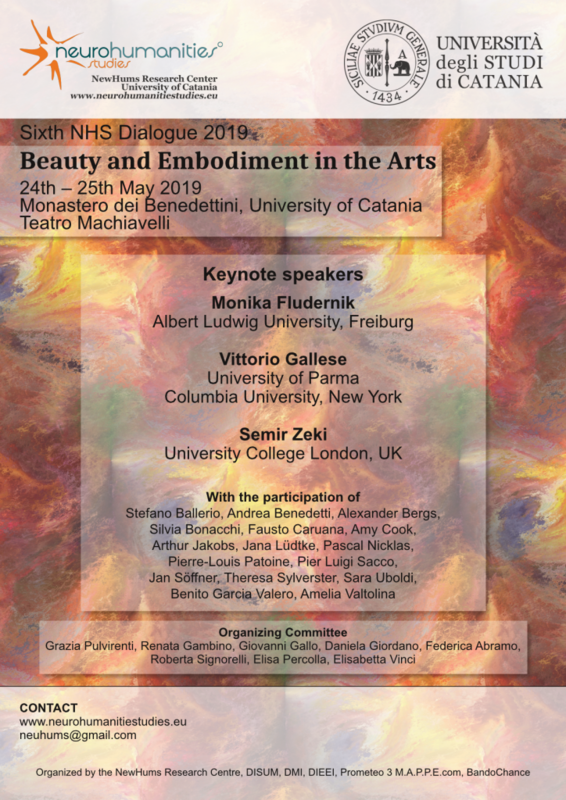 We are very pleased to announce that our fifth Neurohumanities Dialogue What is What? 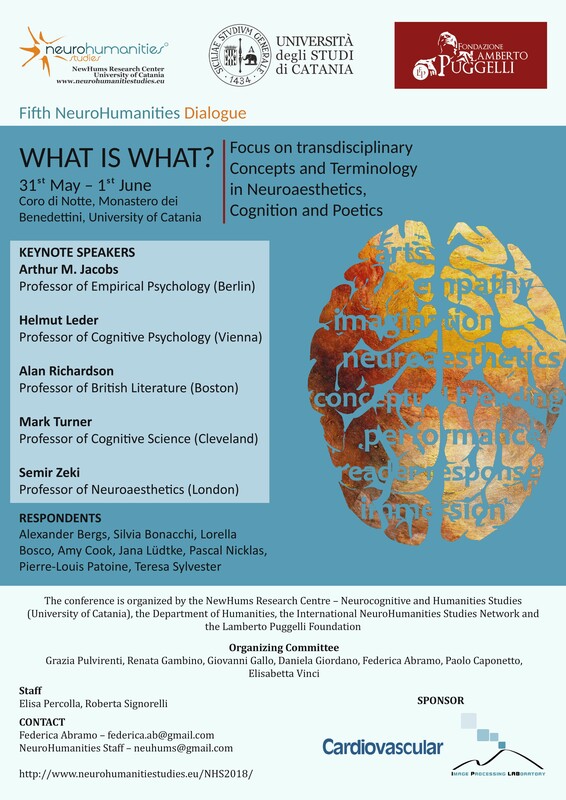 Focus on transdisciplinary concepts and terminology in Neuroaesthetics, Cognition and Poetics will take place in Catania, on 31st May and 1st June. The aim of this year Dialogue is to focus on the terminological difficulties encountered during transdisciplinary research studies. 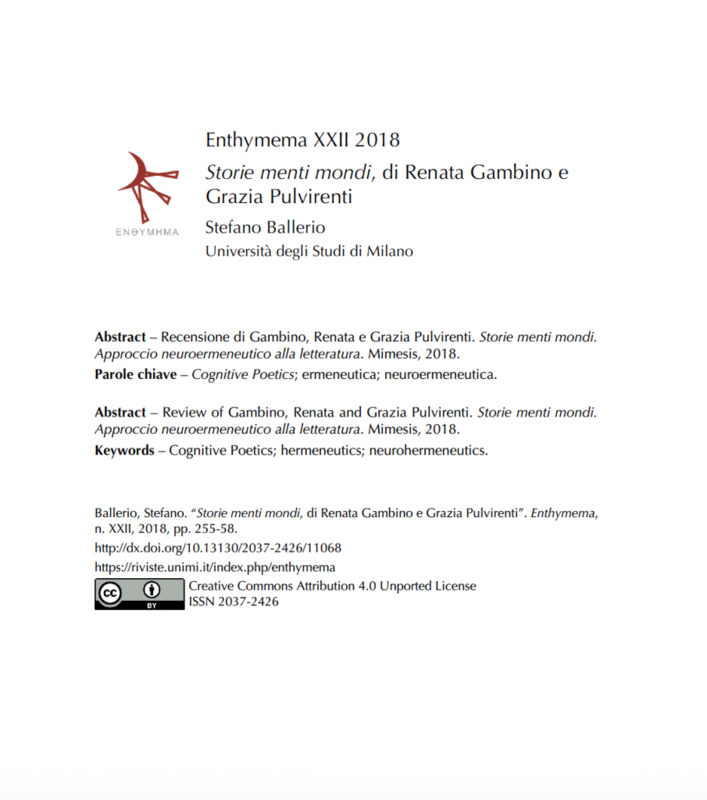 Thanks to and due to the continuous discussion of the last years on the terms to be used in the scientific research, the project of a common ground for literary texts and arts analysis is feasible. What better occasion than a transdisciplinary and international Dialogue? Different personalities will propose current studies and original points of view with the purpose of setting a possible common frame of terms and categories for future research. Some of the brightest research leaders will give their contribution: Mark Turner, Alan Richardson, Semir Zeki, Arthur M. Jacobs and Helmut Leder. 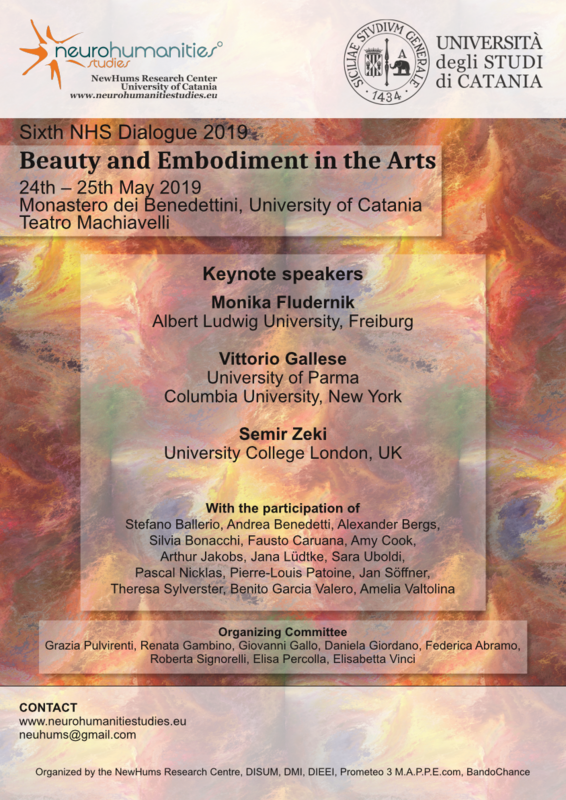 Furthermore, other relevant specialists like Amy Cook, Pascal Nicklas, Pierre-Louis Patoine, Alexander Bergs, Silvia Bonacchi, Jana Lüdtke and Teresa Sylvester will partecipate and feed the debate.